The conference was held in conjunction with the ESO (European School of Oncology) . The attendees present varied from international experts and health care professionals from Ireland to patients and advocates. Despite the great advances in the treatment of early stage disease in recent years there still will be those who present with metastatic disease at diagnosis (deNovo) or will relapse later. For obvious reasons the challenges have exponentially increased with advanced disease, even with the evolvement of targeted therapies, and unfortunately for advanced Triple Negative Breast Cancer the options remain limited. It was acknowledged that the Cancer Registry does not measure relapses so there is no accurate data on how many are diagnosed with recurrence of their disease. Jo Taylor from @abcdiagnosis has highlighted this before and is advocating to have it introduced in Great Britain. According to Dr Fatima Cardoso, Germany seem to be addressing this. The stark reality though is that 25% of metastatic breast cancer patients will be alive after five years -that is only a paltry improvement of 2% in a decade! The infograph opposite is by The Advanced Breast Cancer Global Alliance. They have devised Global Charter of ten goals to form a plan for future treatment and management of advanced breast cancer. There was a patient and advocate group session facilitated by Prof Dame L. Fallowfield and Dr M O Connor. It was a productive session with very similar experiences voiced by many of the group. The facilitators are planning to publish an article on the findings as well as help guide them in future management and care of patients. Later, patients/advocates were given the opportunity to discuss various items with the health care professionals. some of the discussions requested more clarity on the language used versus the perceptions of the patients, for example, one person thought that being diagnosed at stage 4 was fine as “it wasn’t the worst one” that “stage 1 was “the worst type of cancer to get”. People requested a plan of treatment but unforuntately due to the uncertainty surrounding this aspect of the disease there is no uniform treatment plan. Everyone is individual and what may work well for one person may not be effective with another. In addition an awareness of potential long term side effects was highlighted as an indication that some subsets of breast cancer are living for longer than in the past. I have attached the ABC4 guidelines which are worth a perusal as they feature current recommendations for all types of advanced breast cancer. 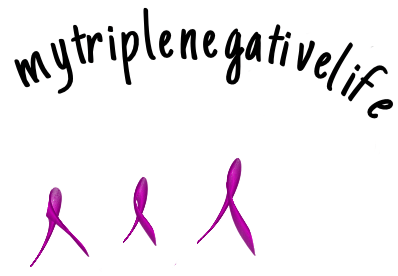 Unfortunately, chemotherapy remains the only option for metastatic Triple Negative Breast Cancer. Disappointingly immunotherapy with checkpoint inhibitors is currently not recommended outside of clinical trials. This is mostly due to the fact that the side effects and long term side effects are not known at present due to it being such a novel form of therapy thus there is not enough clinical data to recommend it. Likewise, Anti-Androgen receptors are also currently not recommended. See italics. My overall impression of the conference was that there are many healthcare professionals seeking to improve the current state of advanced breast cancer. While studies are showing results with large groups of people there still appears to be a large cloak of uncertainty with regard to how well a treatment will work for the individual. I found it heartening to see that there appears to be a willingness to work with patients and advocates in order to improve the quality of life and experiences of patients using the services. Finally, it may have been more beneficial not to segregate the patients and healthcare professionals for some of the presentations but that was acknowledged on the day and is something they will review for future conferences. Marie Keating Metastatic Breast Cancer Seminar 12th October 2018 Venue Dublin. Cancer Week Ireland is commencing from Monday 24th September to Sunday 30th September. It is a national initiative to get people talking about cancer and how we can prevent it, spot it, treat it, and survive and thrive afterwards.